Enjoy a One Night stay for 2 including the following in the beautiful surroundings of historical Trim, Co Meath. 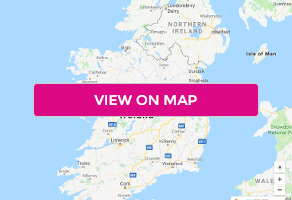 Nestled in the picturesque heart of the heritage town of Trim, just 35 minutes from Dublin and 25 minutes from Tayto Park, lies a hotel in Ireland that invites guests to immerse themselves in the old world charm, unique culture and vibrant and fascinating history of this beautiful town. The Castle Arch Hotel is an award winning 3-star boutique hotel, a Pride of Place winner 2018 for best tourism and hospitality. Kids Policy, Max of 2 Children in Adults room, 0–5 years free B&B, 6–12 years free room only, supp of €5 for breakfast and 13–16 years €25 BB per night.